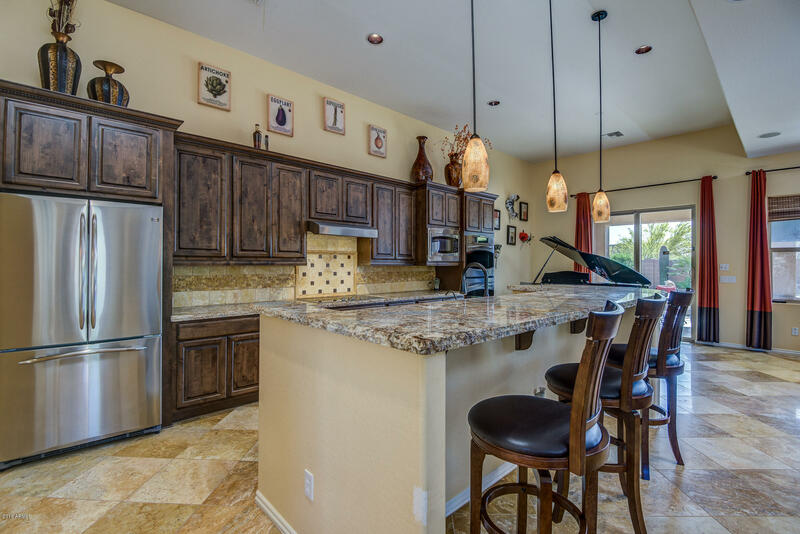 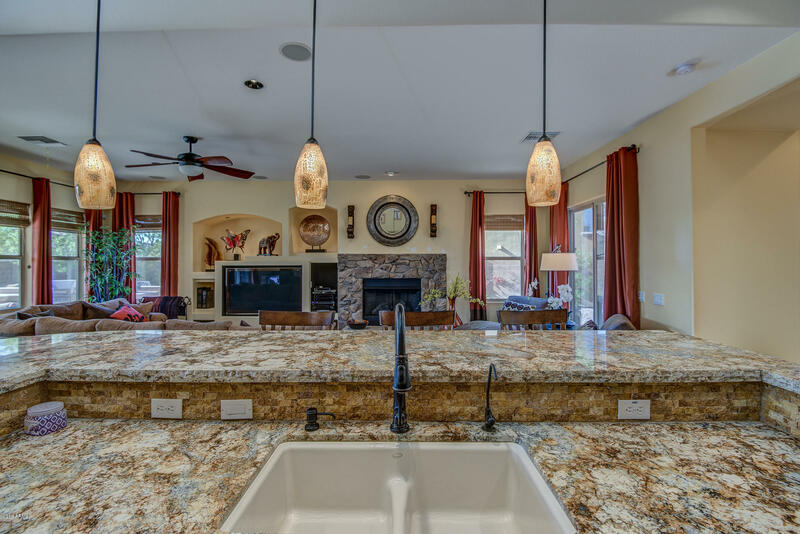 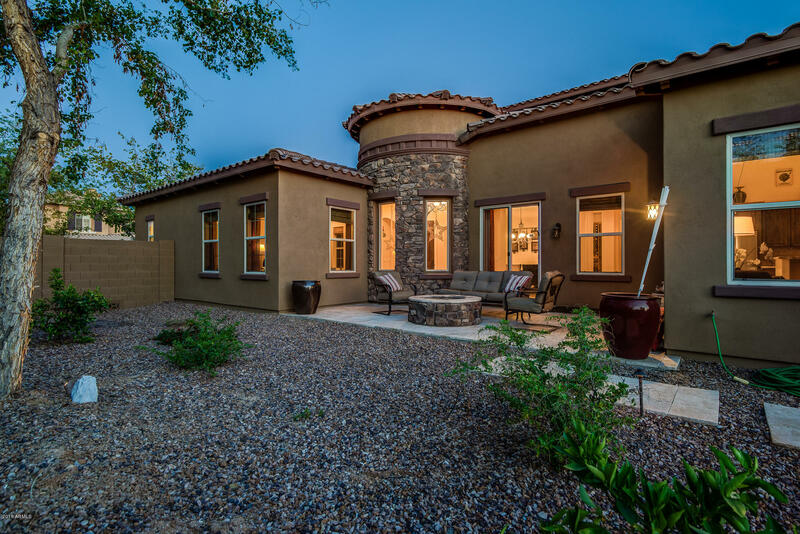 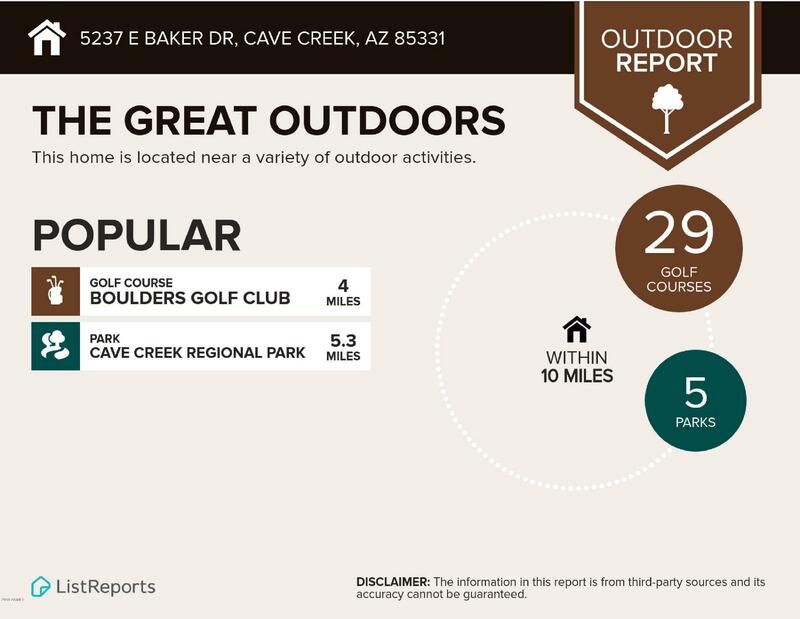 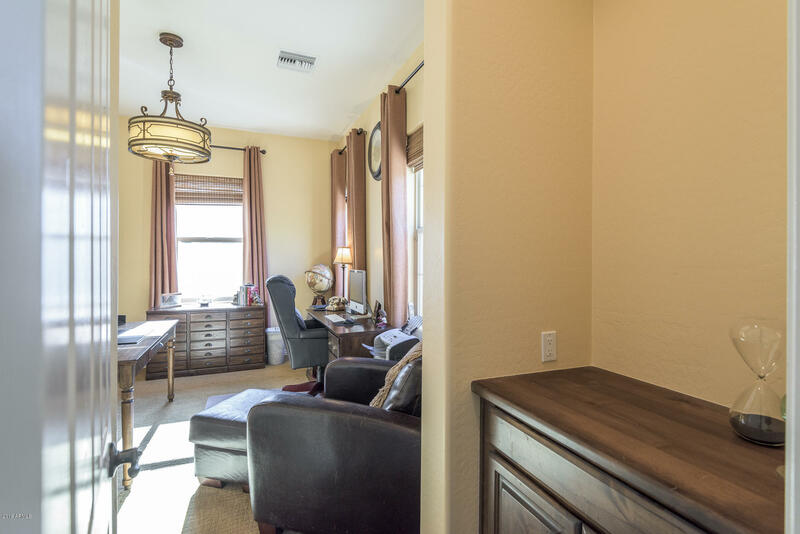 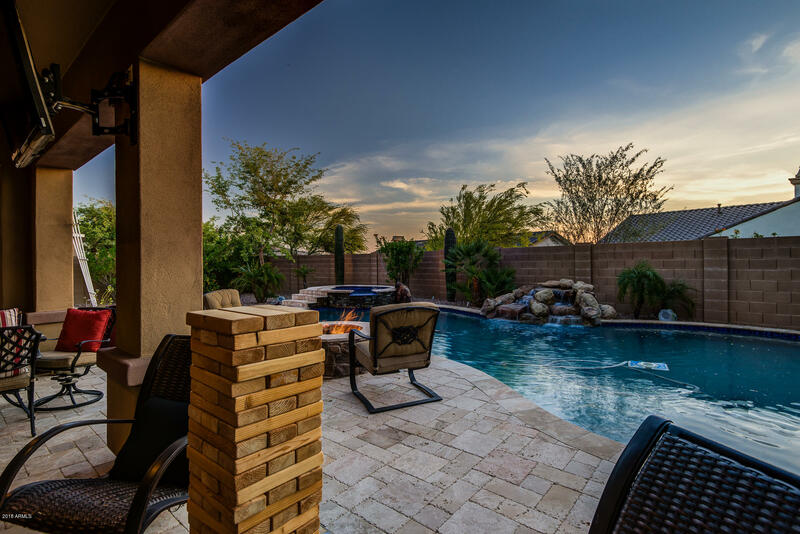 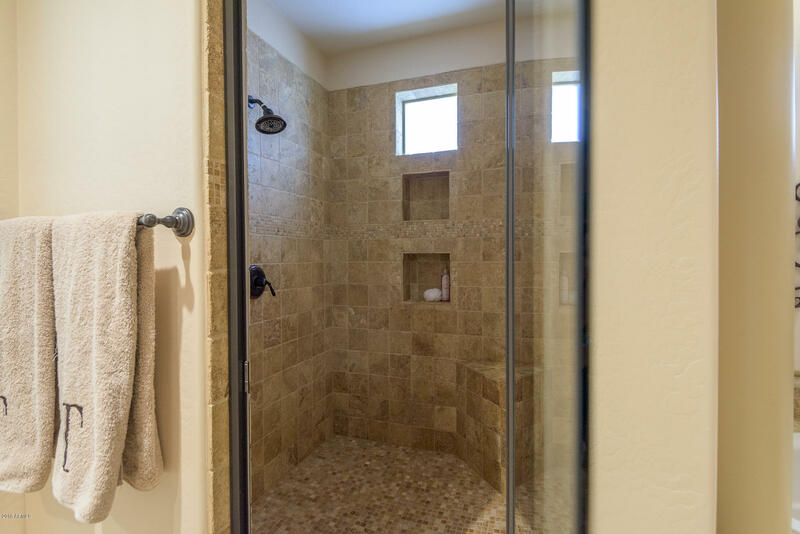 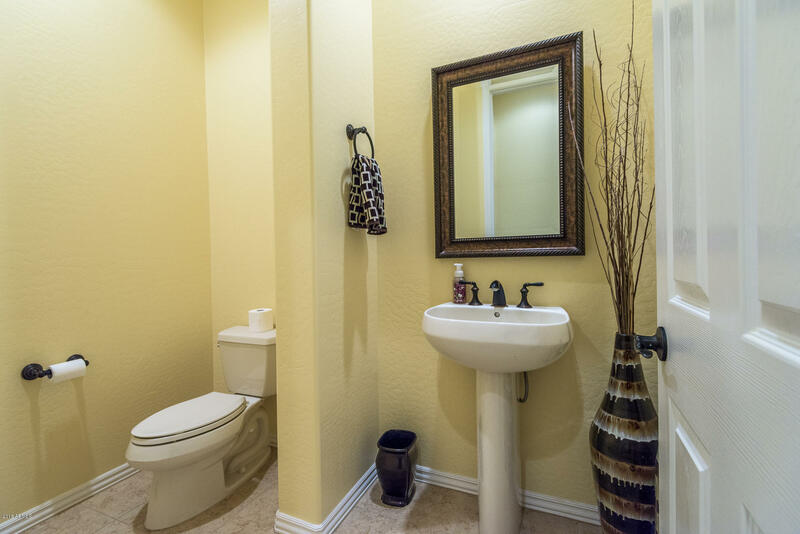 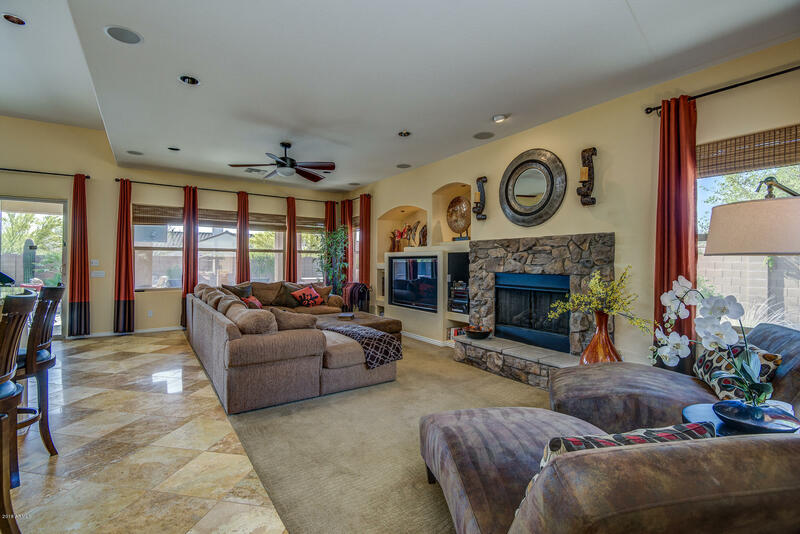 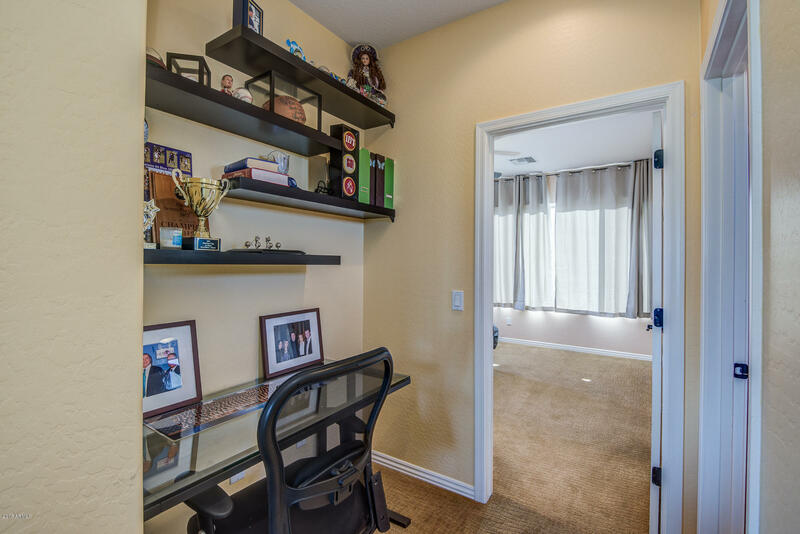 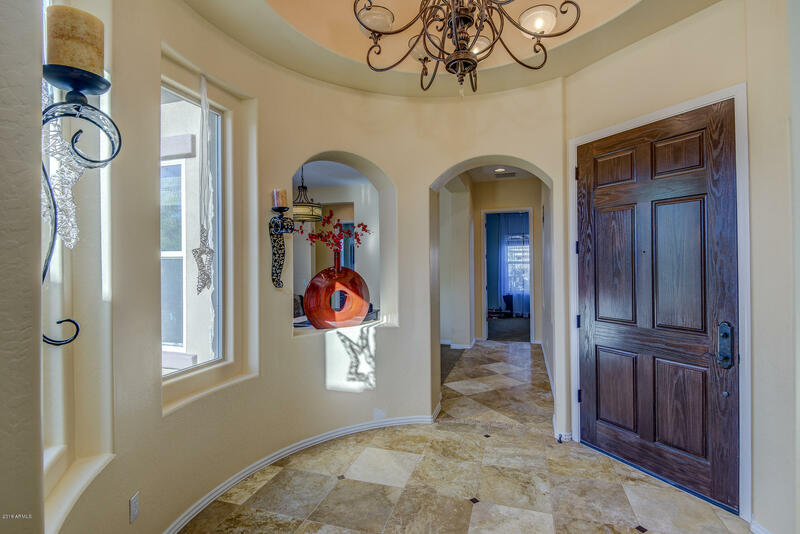 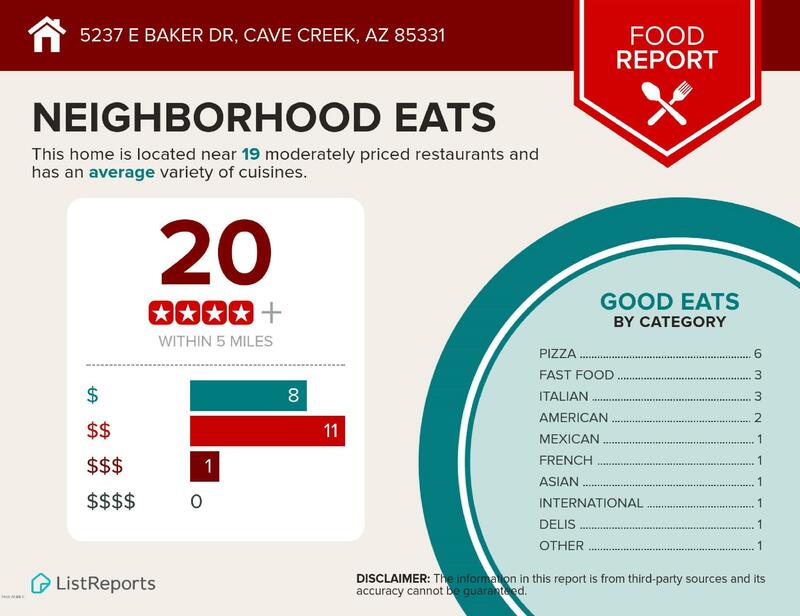 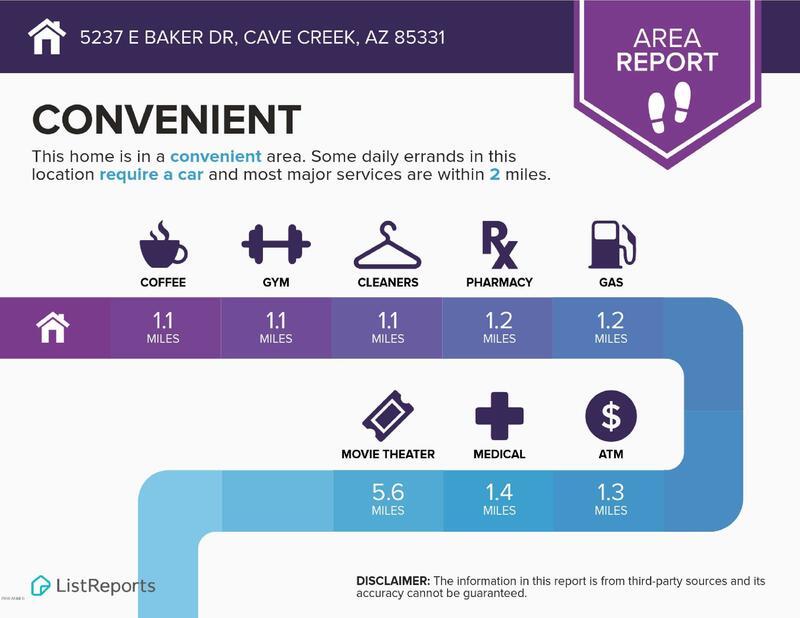 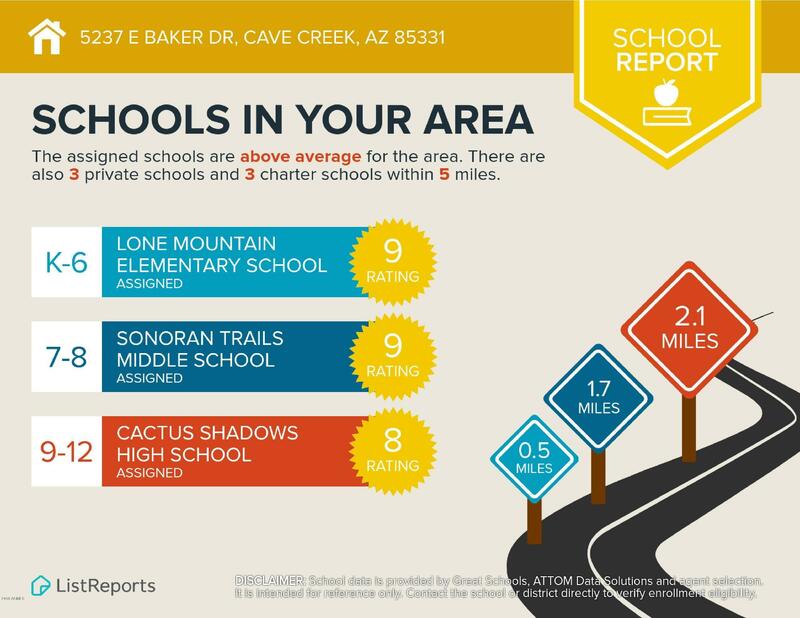 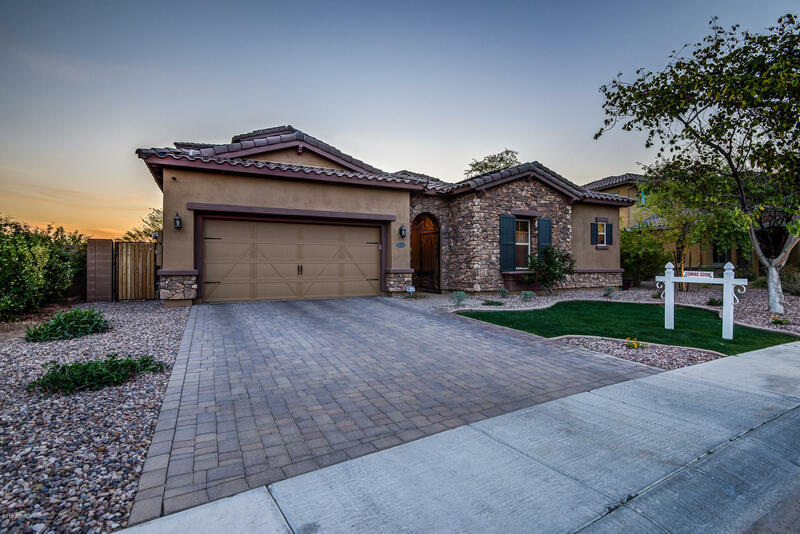 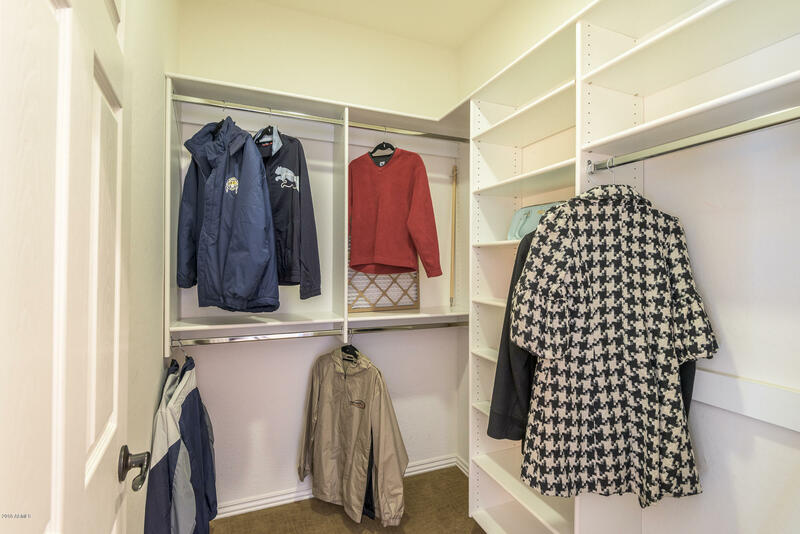 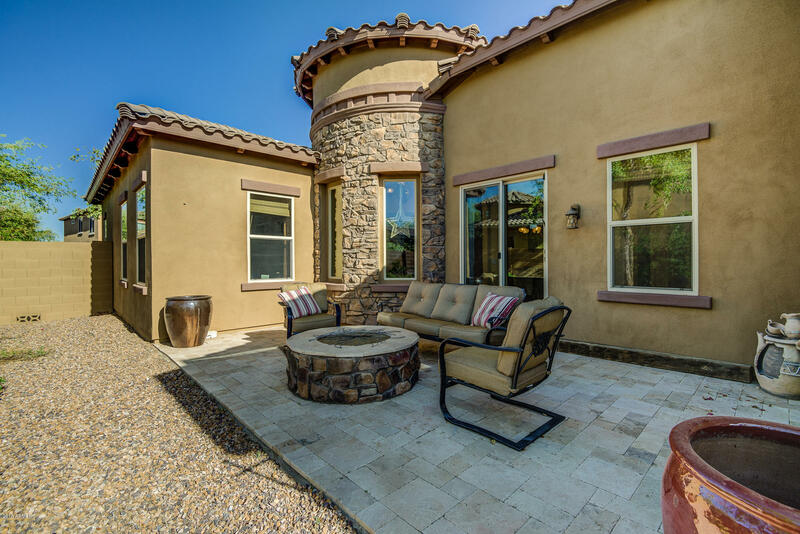 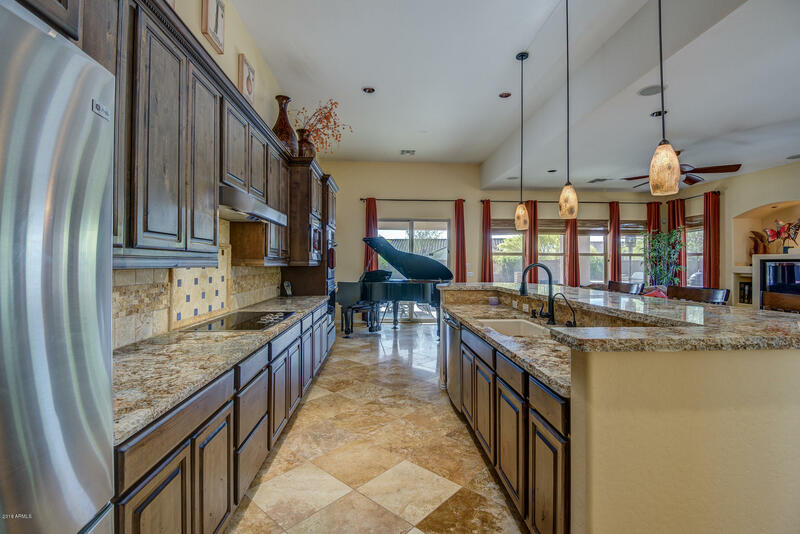 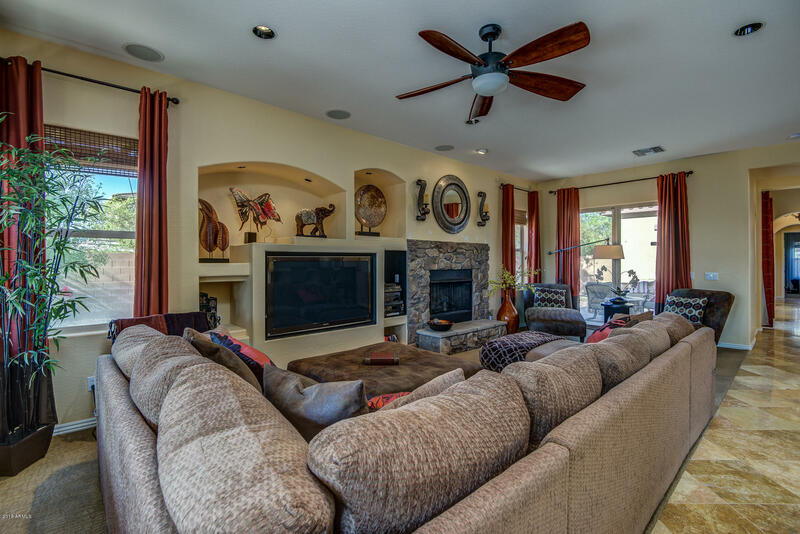 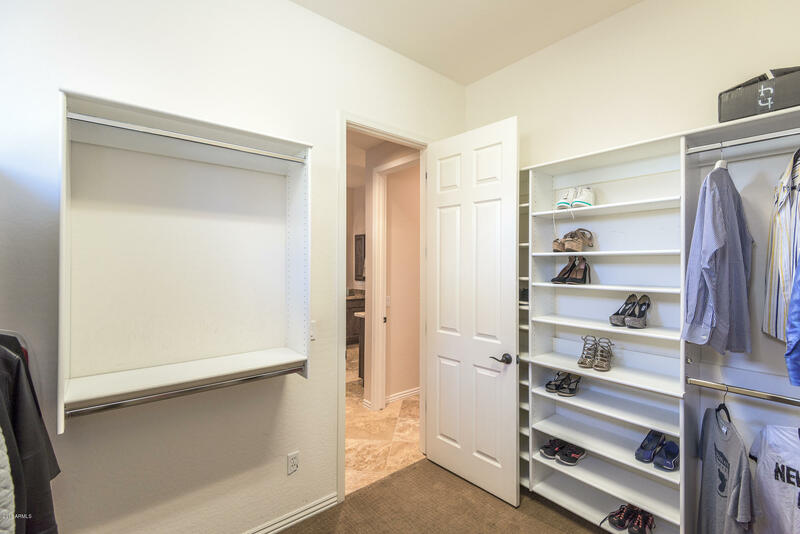 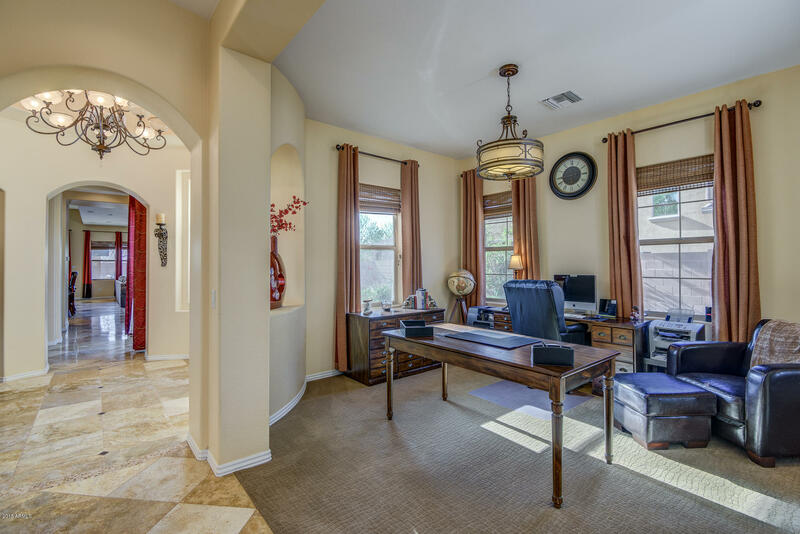 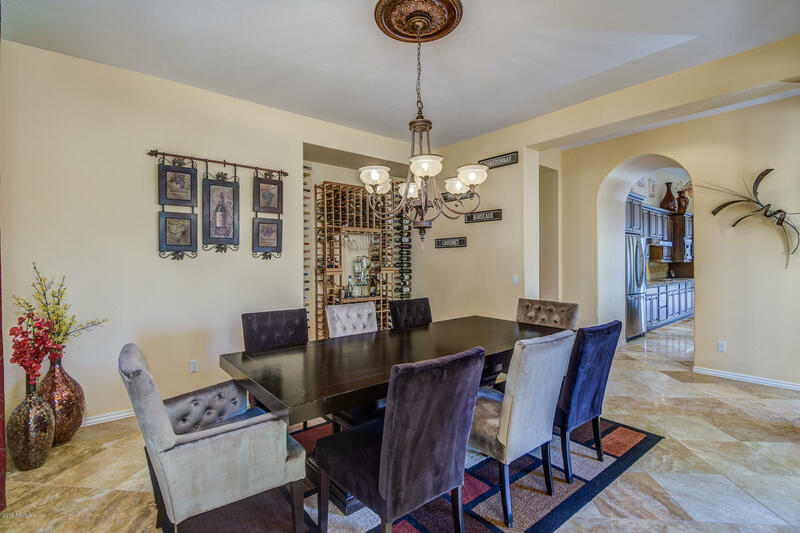 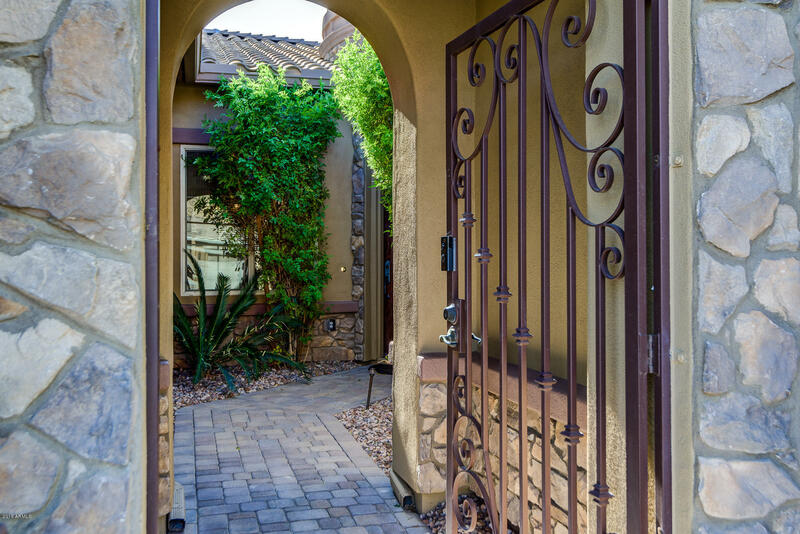 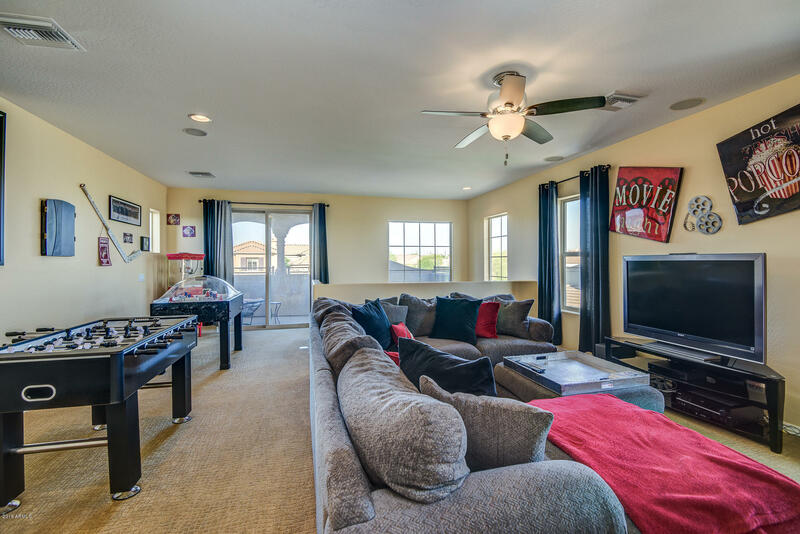 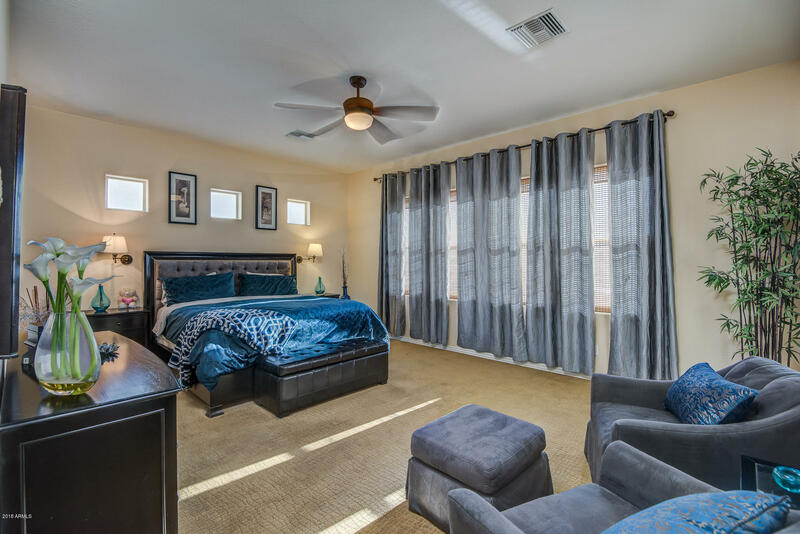 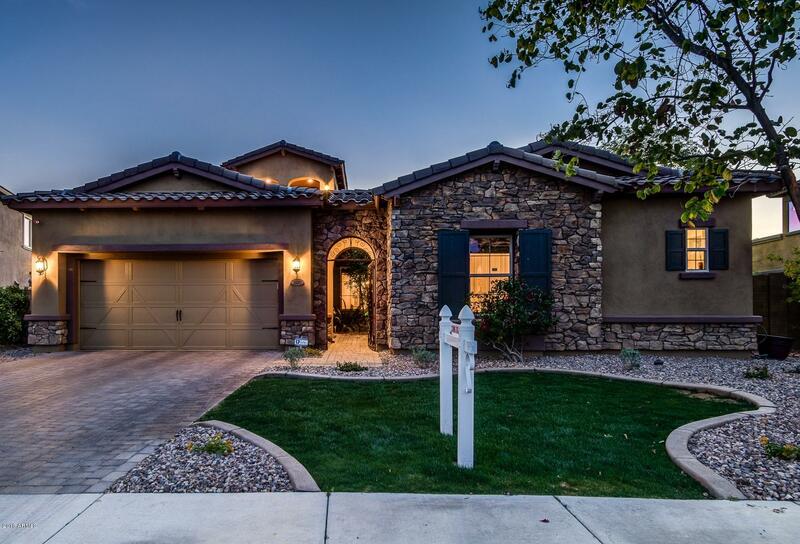 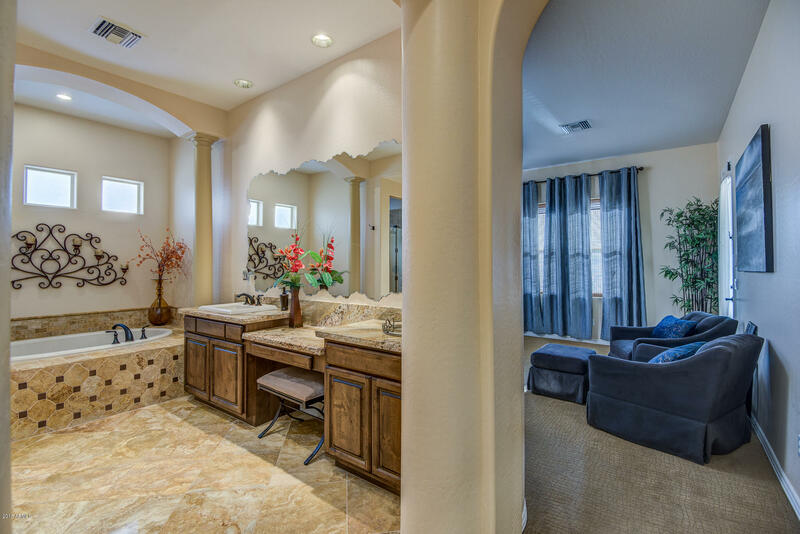 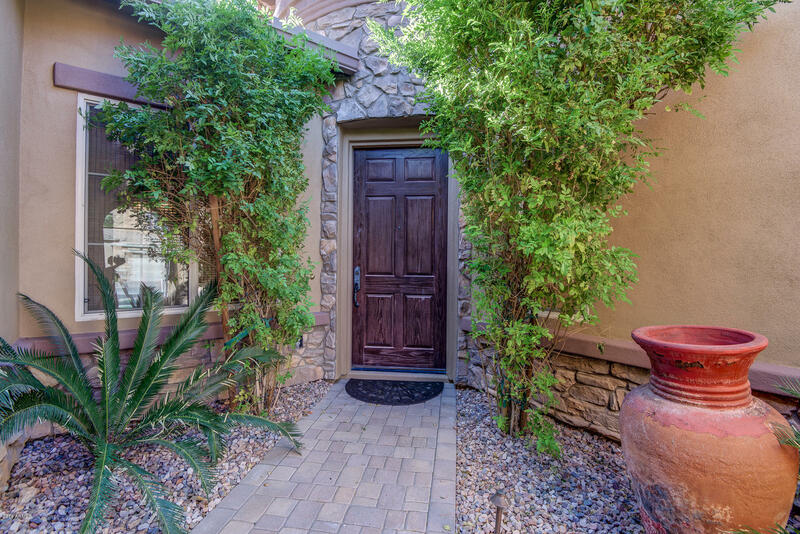 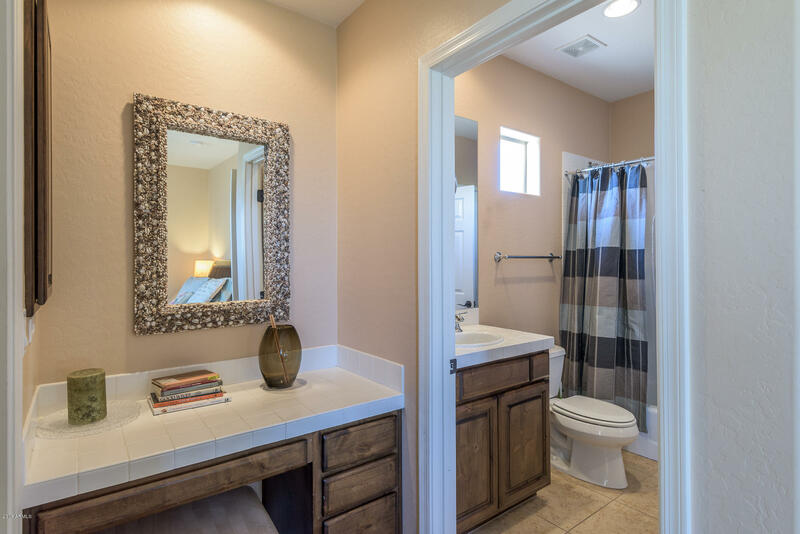 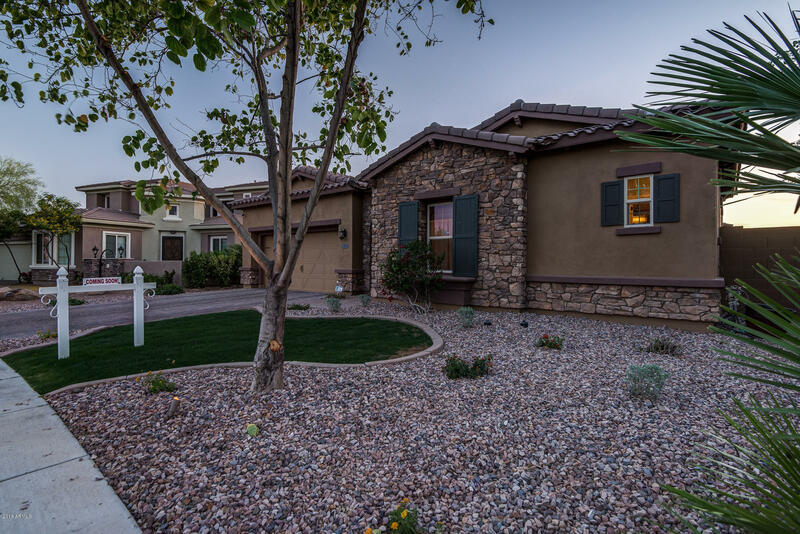 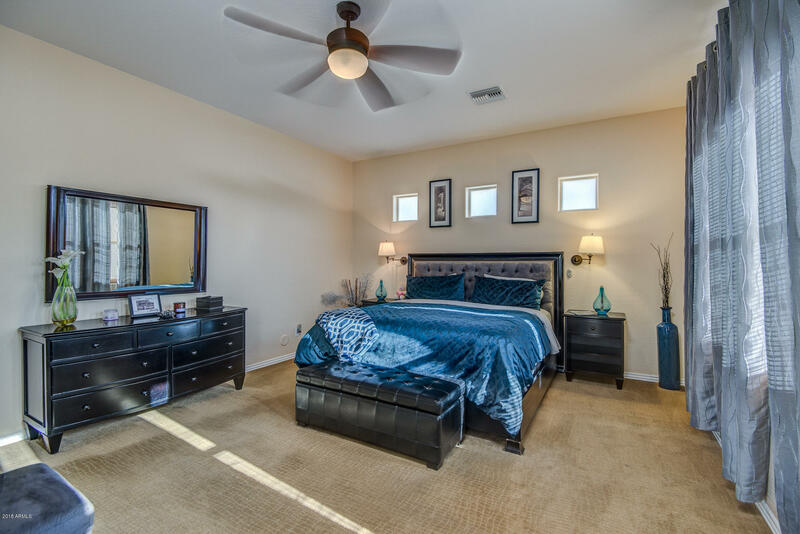 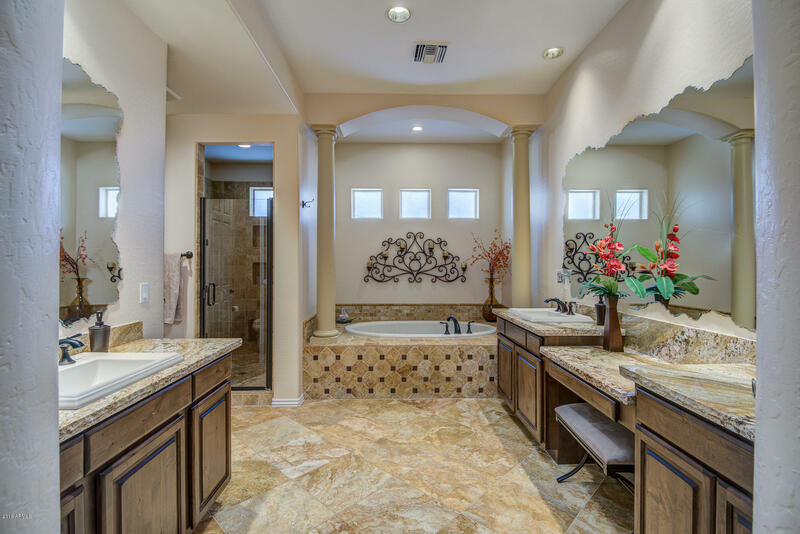 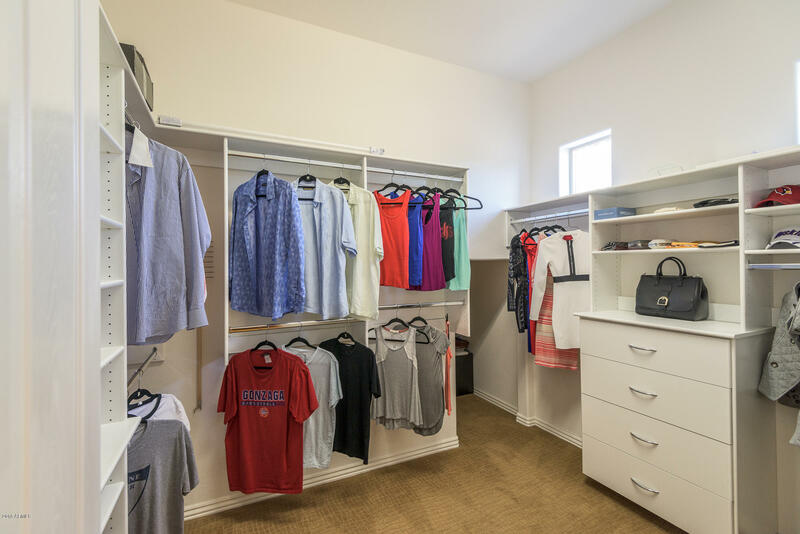 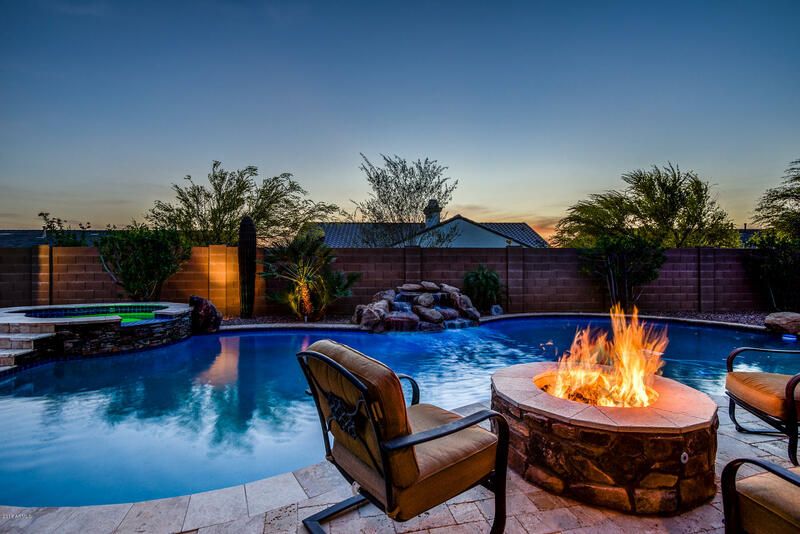 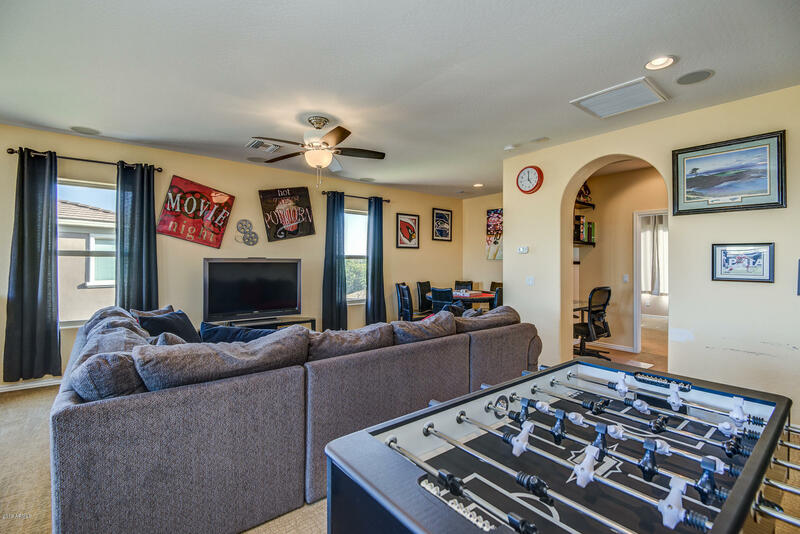 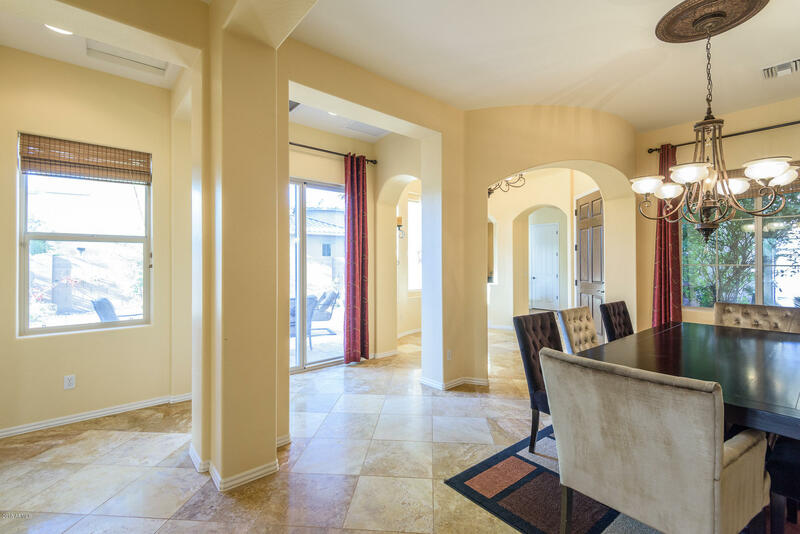 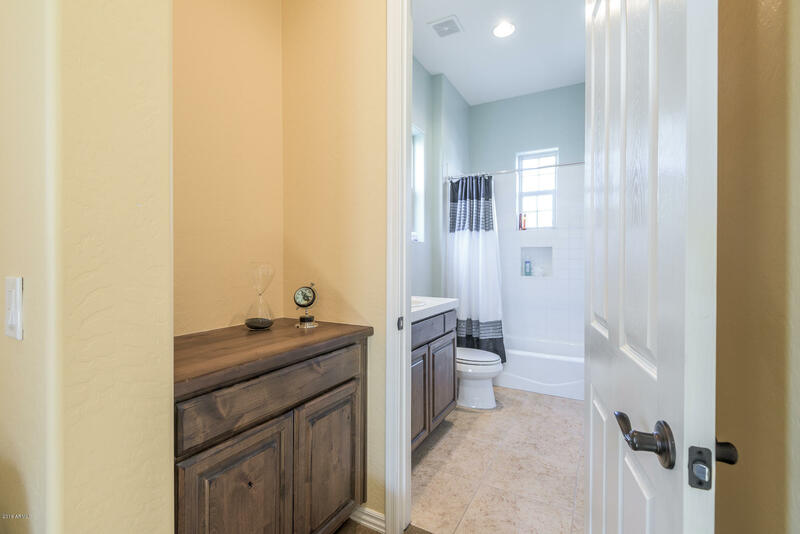 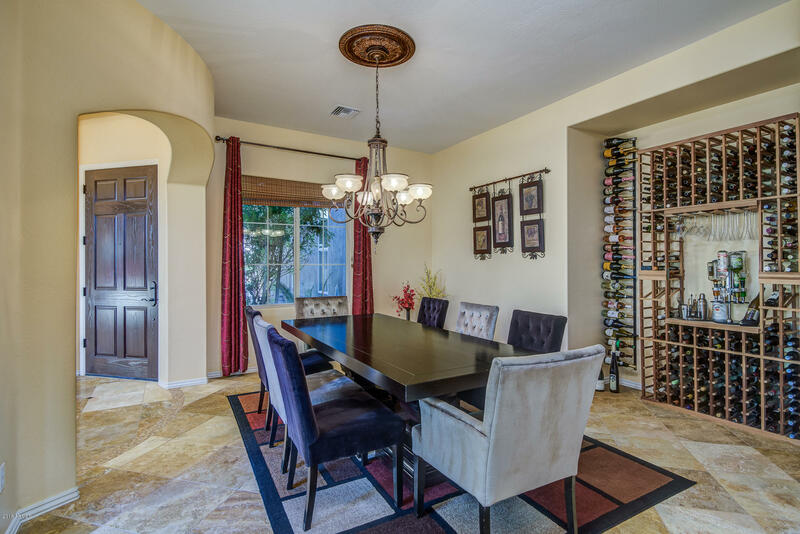 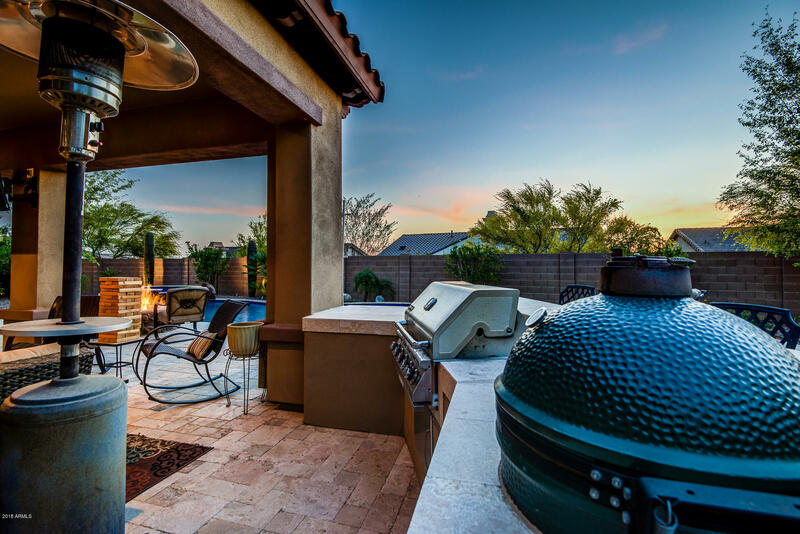 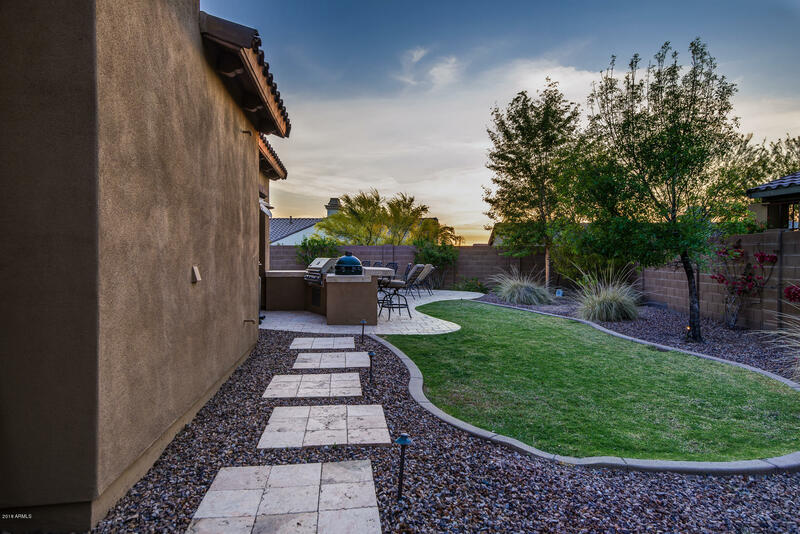 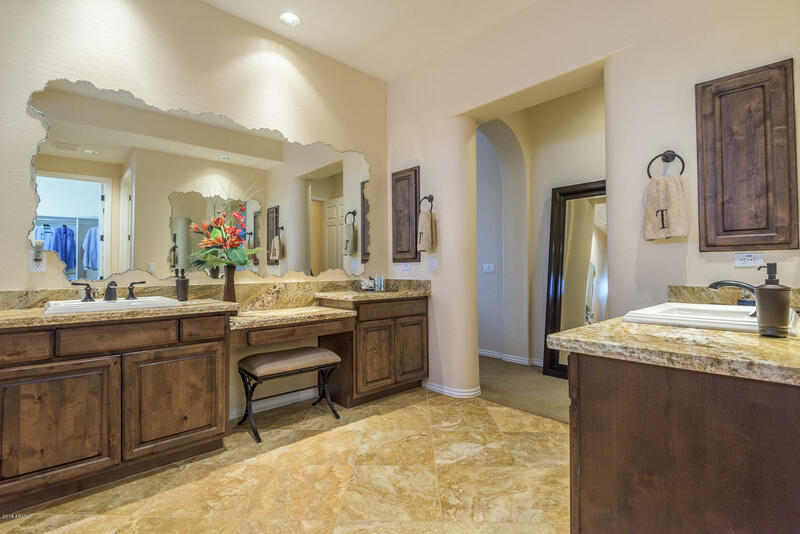 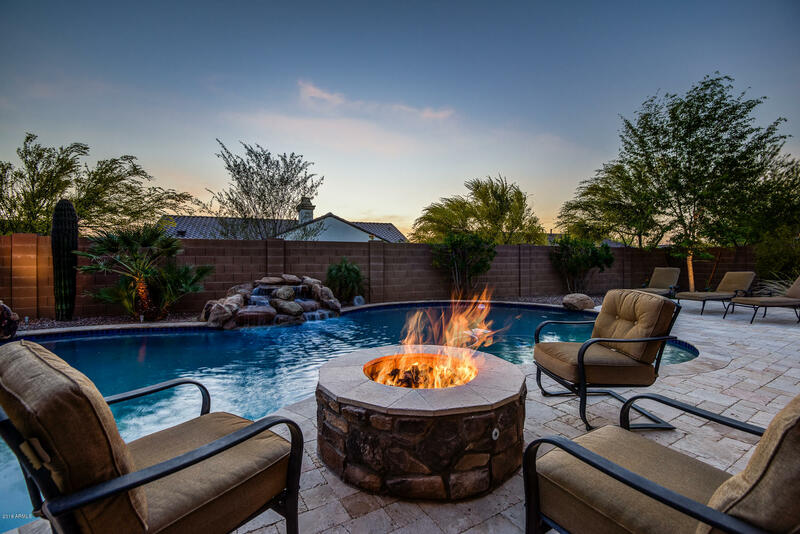 Enter the gates of this luxury Toll Brothers community just 10-15 minutes from Desert Ridge Marketplace, 101/51 freeways & Mayo Clinic Hospital. 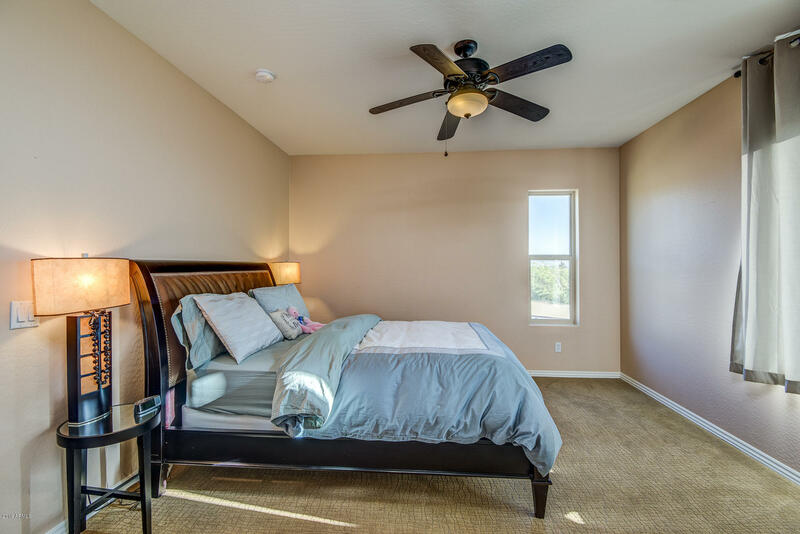 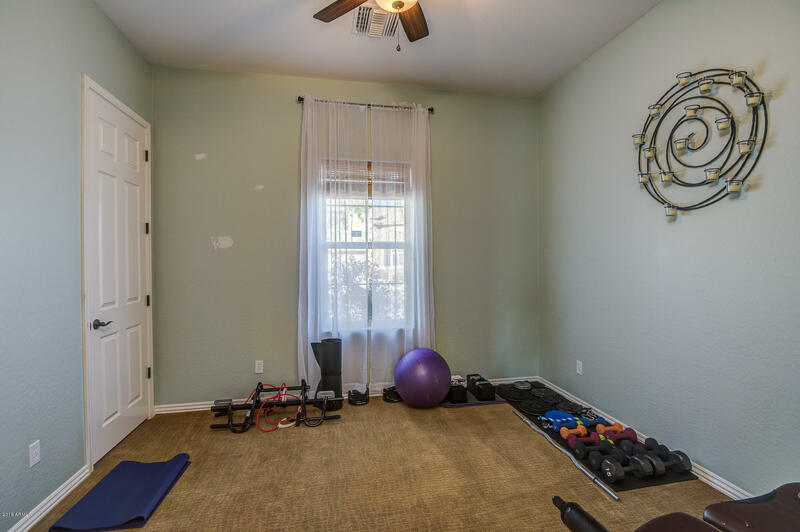 This 4 bed+/3.5 bath 3,674 sqft home has nearly $100k in upgrades & improvements and is tucked away on an insulated interior lot providing you peace, quiet & privacy. 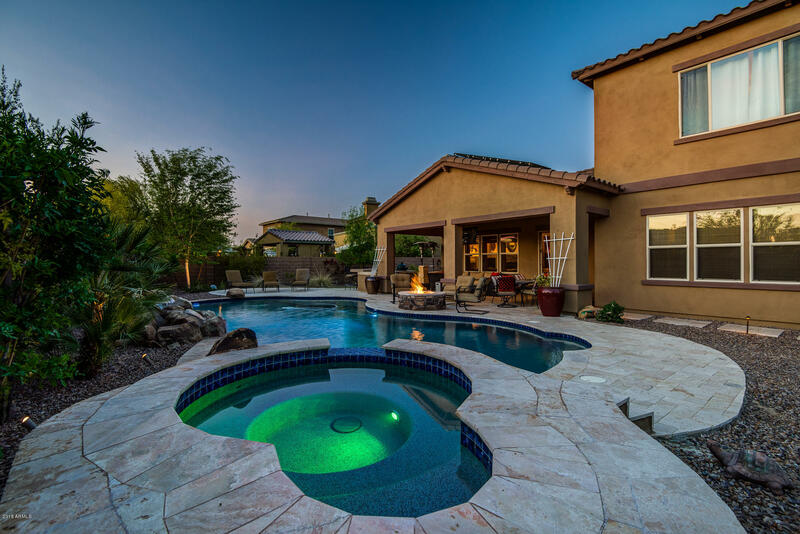 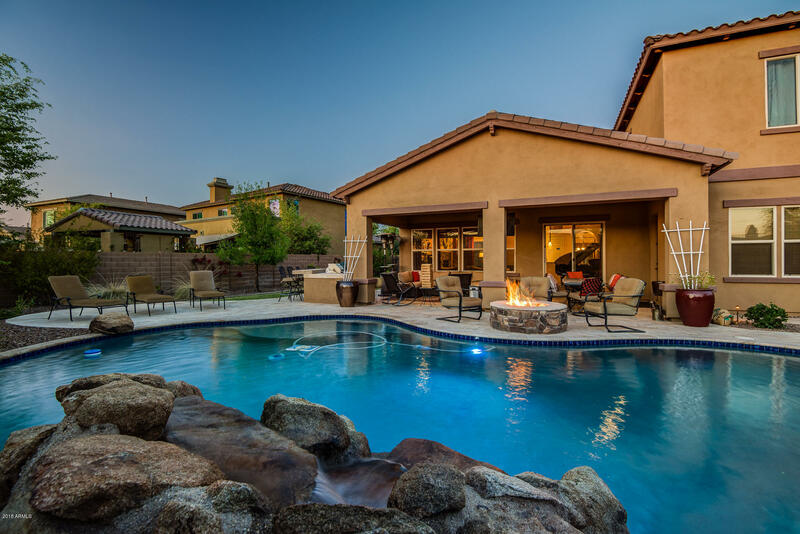 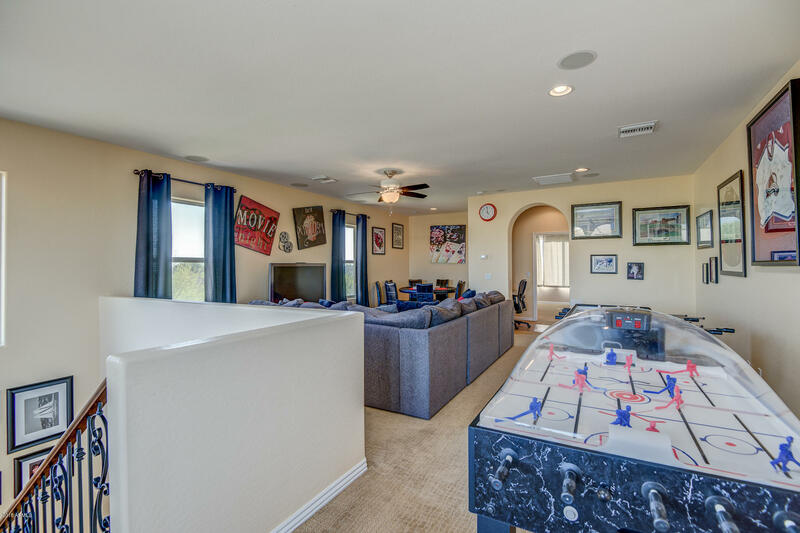 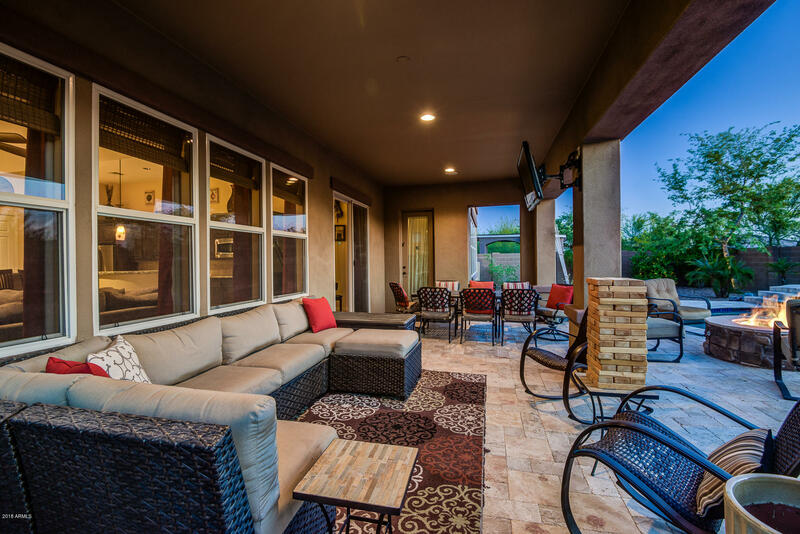 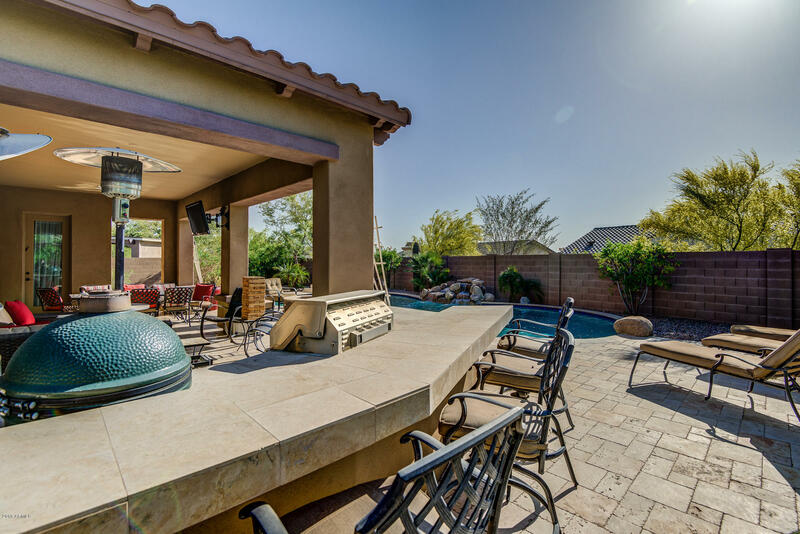 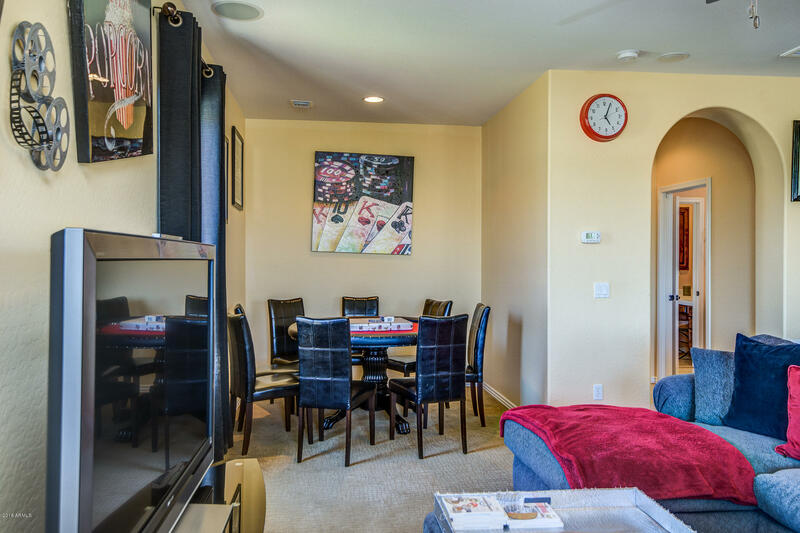 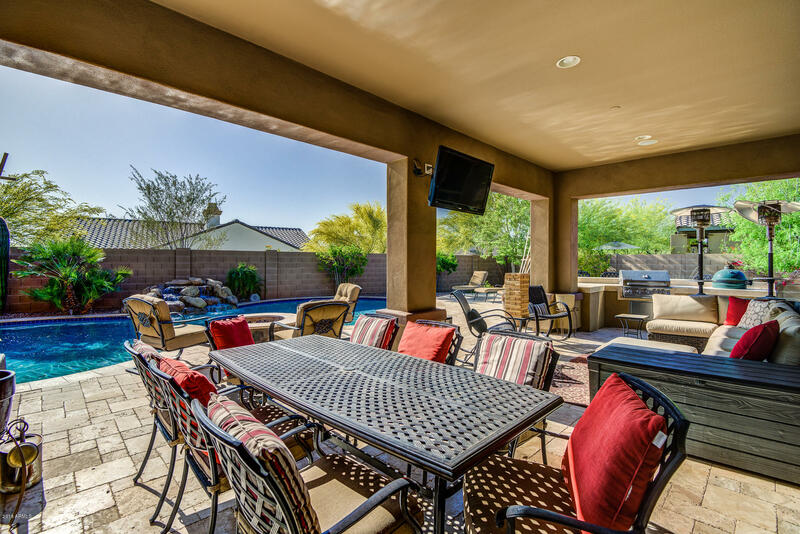 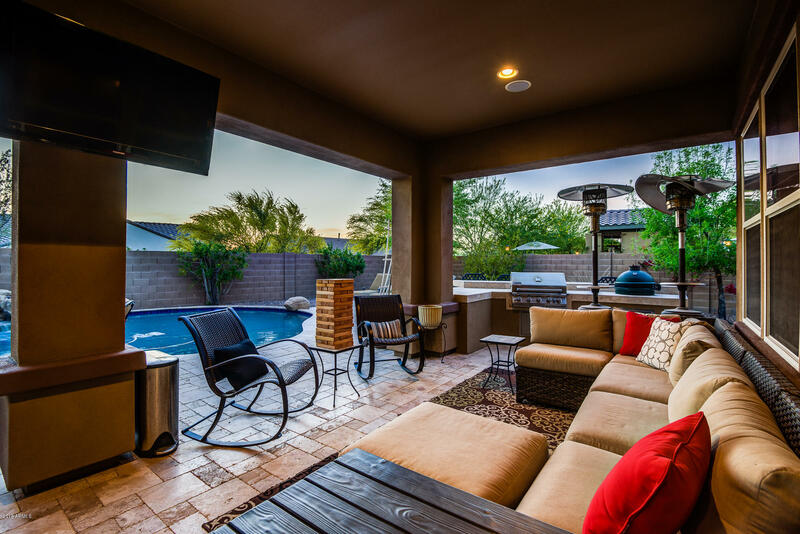 The extended covered patio with its own audio/visual, along with the pool/spa & outdoor kitchen create the perfect space to bring the indoors outdoors for hours of entertaining. 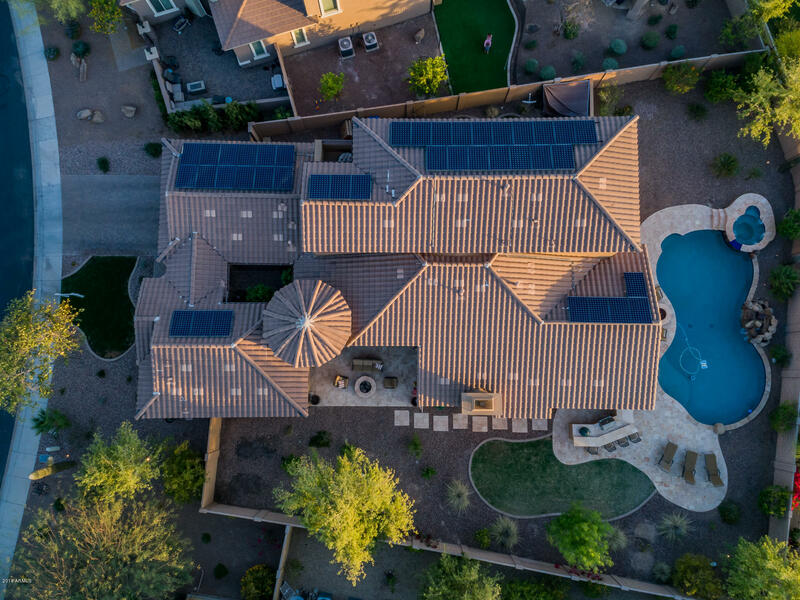 Dramatic saving on energy costs in this home with the rooftop Solar. 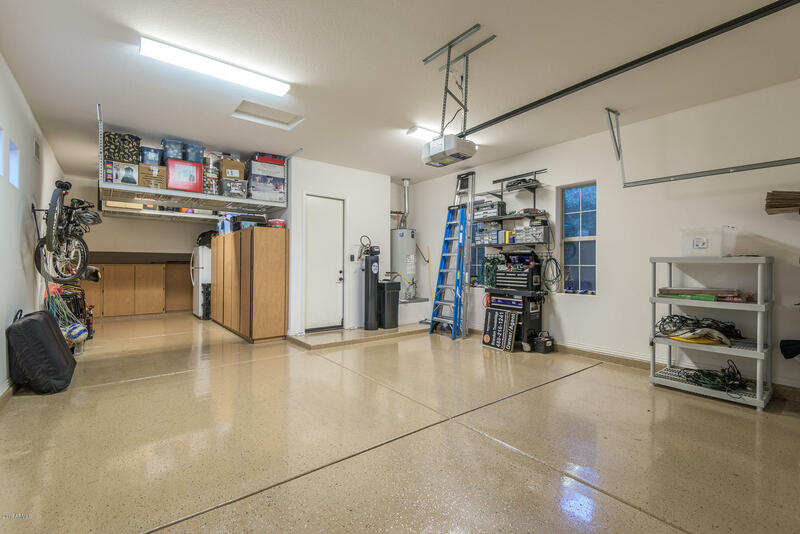 Average elec. 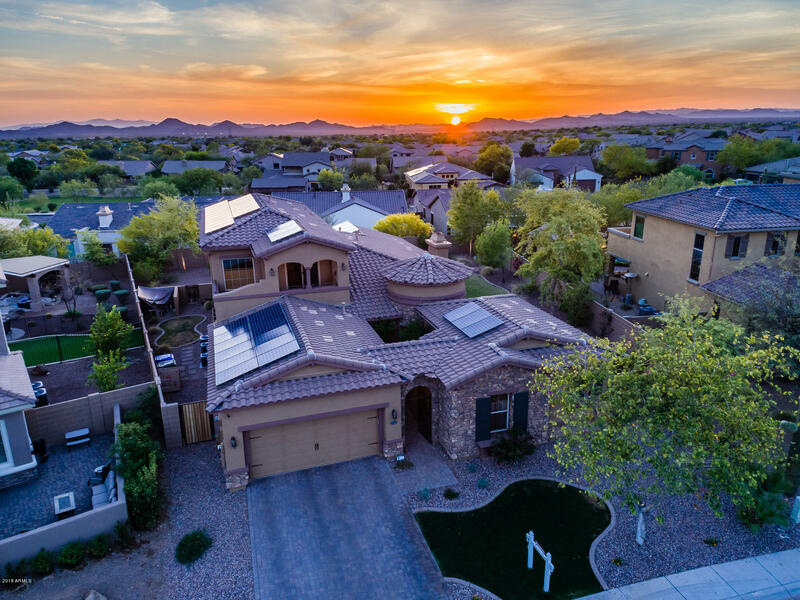 bill prior to solar panels = approx $280/mth; after 14kw solar system installed = fixed flat rate lease of $127.77/mth + APS taxes to be connected to grid, w/option to buy 5/1/19 (which is year 7).